Friendly Teasing: Friendly teasing is joking and kidding around with your friends. It is basically harmless, and is not done to hurt or put someone down. Mean Spirited Teasing: Mean spirited teasing is teasing that’s meant to hurt someone’s feelings, or to put someone down. 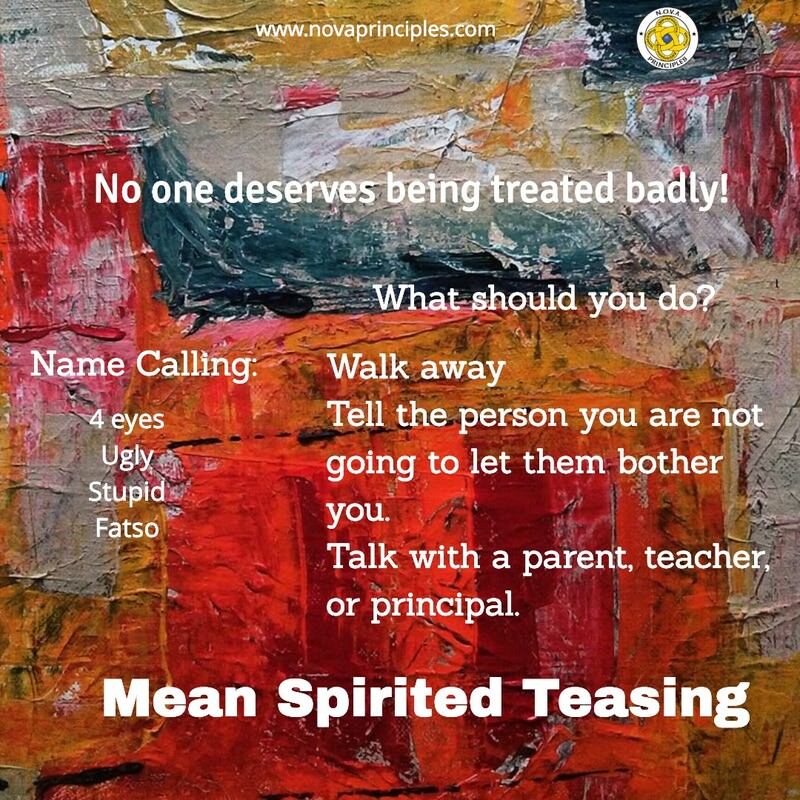 Students are taught that although it’s not possible to prevent someone from teasing them in a mean spirited way, it is possible to prevent themselves from teasing others in a mean spirited way. Students are advised not to tease anyone in a mean spirited way. Students are taught that when a person teases them in a mean spirited way, they get to choose how they react to that mean spirited teasing. Students are taught not to let the mean spirited teasing of others bother them, though this may be hard to do at times, they can do it if they choose to. Students participate in an active learning lesson game that teaches them how not to let the mean spirited teasing of others bother them. 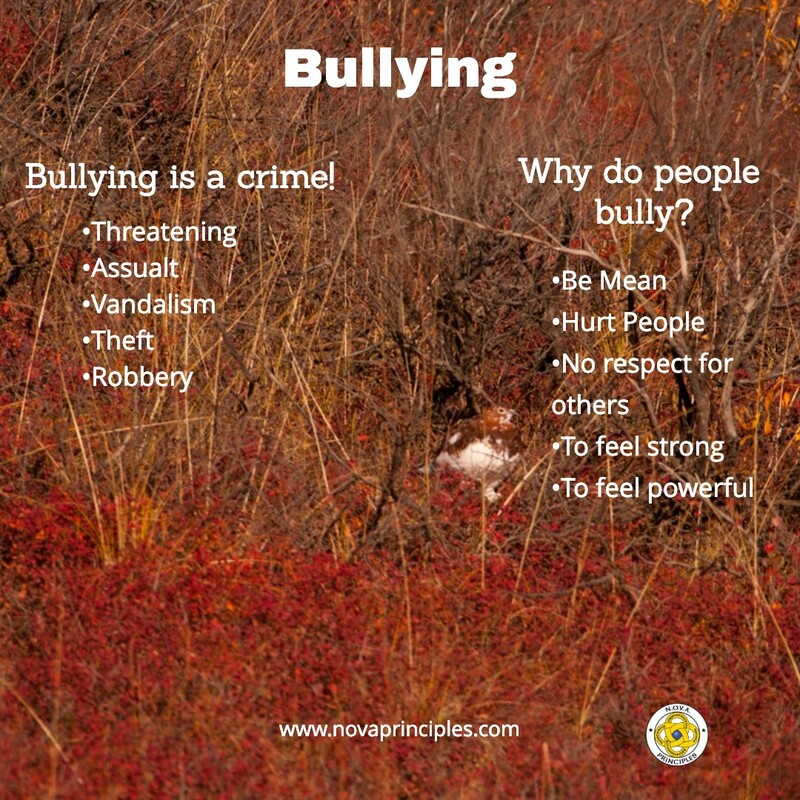 Bullying: Bullying is a crime that involves threatening, assault, vandalism, theft or robbery. Students are instructed not to be a bully, and are given guidelines on how to deal with bullies. 1. Report bullying. No one deserves to be bullied. It’s wrong, against the law, and never acceptable. 2. Telling on a bully who’s hurting you is not tattling, it’s reporting a crime. 3. If you don’t report bullies, they will continue to hurt people and make peoples lives miserable. 4. If you’re bullied, or see someone bullied, report it to a teacher, principal, parents, and/or the police. 5. If you know a bully, stay away from them. 6. If a bully won’t stay away from you, ignore them, walk away, and don’t react to their threats. 7. Don’t act scared. Stand tall and look confident. Bullies look for people who look weak and afraid. 8. 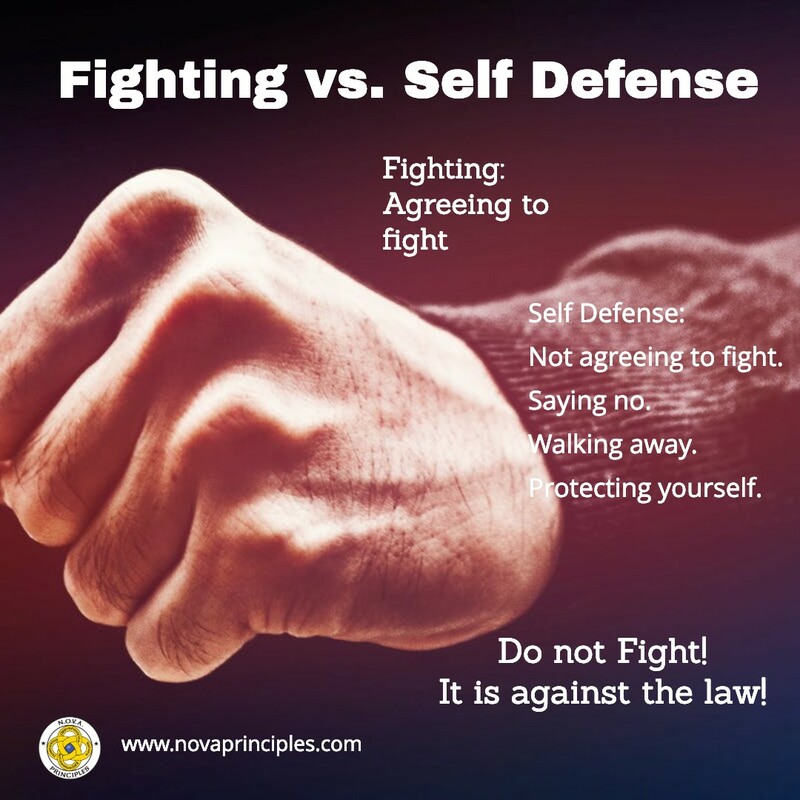 State your position by saying, “I’m not going to fight you”, and then walk away. Don’t hang around. 9. Make an agreement with your friends to stand up and support each other. 10. Avoid places where bullies hangout. 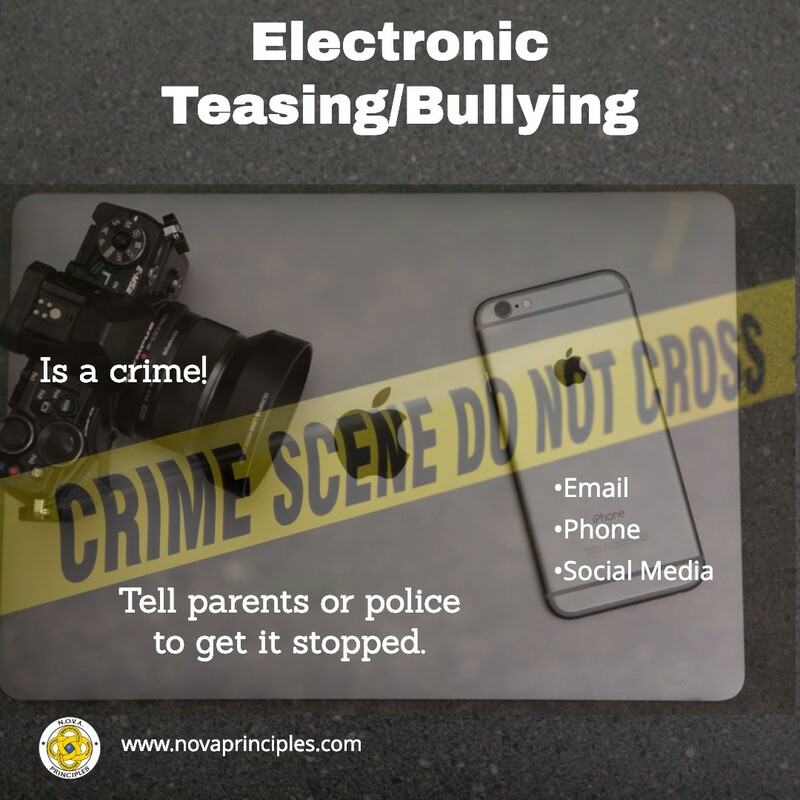 Lastly, students are taught that there is another type of bullying called “Electronic Bullying”. Electronic bullying is when a person threatens to hurt someone by using an electronic device such as a phone, or computer (by way of email), and is a crime. Students are instructed not to be involved in any electronic bullying. When it comes to mean spirited teasing and bullying, there is no path to excellence.